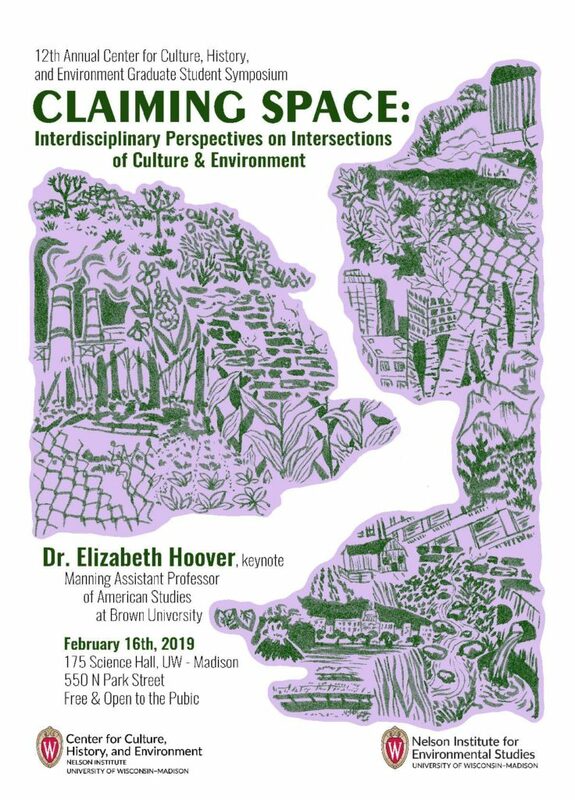 Elizabeth Hoover of the From Garden Warriors to Good Seeds: Indigenizing the Local Food Movement will be the keynote speaker at the Nelson Institute’s Center for Culture, History, and Environment (CHE) Graduate Symposium on Saturday, Feb. 16 at 4 pm in Science Hall, room 175. Elizabeth Hoover is Manning Assistant Professor of American Studies, and teaches courses on environmental health and justice in Native communities, indigenous food movements, Native American museum curation, and community engaged research. Elizabeth received her BA from Williams College, a MA from Brown in Anthropology/Museum Studies, and PhD from Brown in Anthropology, with a focus on environmental and medical Anthropology as it applies to Native American communities responding to environmental contamination. Her book “’The River is In Us;’ Fighting Toxins in a Mohawk Community,” (University of Minnesota Press, 2017) is an ethnographic exploration of Akwesasne Mohawks’ response to Superfund contamination and environmental health research. Her second book project “From ‘Garden Warriors’ to ‘Good Seeds;’ Indigenizing the Local Food Movement” explores Native American farming and gardening projects around the country: the successes and challenges faced by these organizations, the ways in which participants define and envision concepts like food sovereignty, and importance of heritage seeds. Elizabeth has published articles about food sovereignty, environmental reproductive justice in Native American communities, the cultural impact of fish advisories on Native communities, tribal citizen science, and health social movements.